Size:20"L x 9"W inch,the rack is fine iron material,a strong load-bearing. 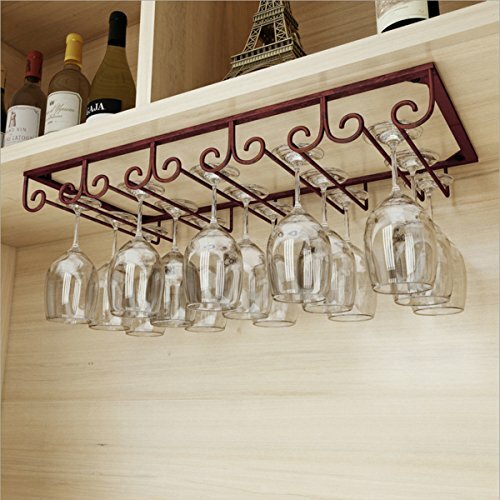 The wine cup holder looks perfect both from the front and the back,Holds up to 10-15 wine glasses. The wine cup holder has a reasonable track design, exquisite fashion, suitable for most goblets, pick and place freely. If you have any questions about this product by Warm Van, contact us by completing and submitting the form below. If you are looking for a specif part number, please include it with your message.